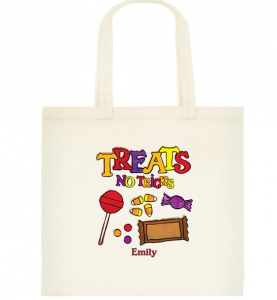 Personalized Halloween Treat Bag for $2! Vistaprint is offering Halloween treat bags for just $2 right now. The timing is perfect – you can make a personalized trick or treat bag for your kids! There are lots of cute Halloween-themed images to choose from and you can add your child’s name, too! I used to buy those plastic pumpkins every year and then we couldn’t find a place to store them or they would get broken. I bought these for my kids last year and I love that they fold up easily and we have them again to re-use this year! I was really pleased with the quality – it’s definitely something that will last for awhile. 2. 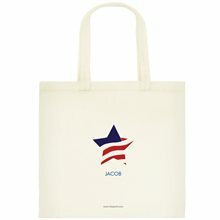 Click on the blue “Get Started” button by the $2 Tote Bags. There are several cute bags to choose from! You can add personalized text to your bag! Shipping starts at $5.52. Make sure that you choose the cheapest shipping option because it doesn’t always default to cheapest shipping! Please note that any “extras” you add will result in extra charges. I have ordered from Vistaprint many times and have always had great experiences! Vistaprint: 100 business cards or holiday gift tags for $5 shipped! Vistaprint has a new promotion that would be great for the holidays! You can make 100 personalized business cards for just $5 shipped!. You can add your own pictures or logos, too! You can take advantage of this offer to make business cards for your own business or you can try some of these other suggestions! 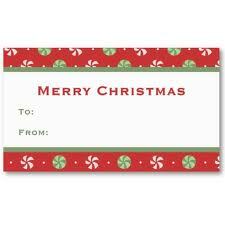 Make holiday themed to and from cards to use as gift tags! You can add your family’s initial, picture, or just a holiday-themed image! 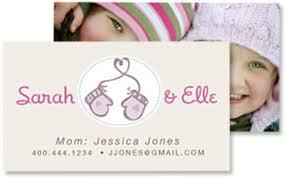 Make mommy contact cards to give out at MOPS meet-ups or play groups! NOTE: Make sure you choose the cheapest shipping option to get FREE shipping! It defaulted to this option for me, but that might not be the case for everyone! Groupon also has an awesome Vistaprint deal today that would come in handy for holiday gifts! You can get a $70 Vistaprint credit for just $17! Use it to make holiday gifts like personalized calendars and tote bags or use it to buy your holiday photo cards! Kids Custom t-shirts for $2 each! Vistaprint has another fun promotion! Make a kids custom t-shirt for just $2! 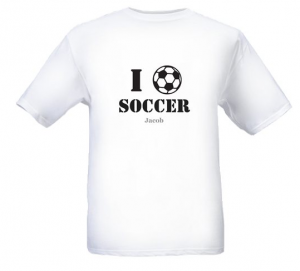 My son starts soccer next week, so I thought this would be a fun shirt for him. There are almost 200 different designs to choose from including several different sports themes! 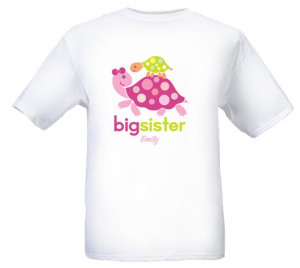 If you’re expecting a little one, you could make “big sister” or “big brother” t-shirts to help make your special announcement! These would also be great to help the big sister or big brother feel important when the new baby comes along! You could even design your own shirts for a birthday party! NOTE: Shipping and handling fees do apply and are typically about $4.14 per shirt. This is still a great price for a shirt that you design yourself! Vistaprint has some hot FREEBIES available right now! You can take advantage of six popular freebies including a custom calendar, business cards, a tote bag, a photo book, and a t-shirt! These free tote bags are perfect for library books, quiet bags for church, and last year I even took advantage of a free tote bag offer and made trick or treat bags for my kids! Starting a new business? Or maybe you just want contact cards to swap at MOPs meet-ups! Take advantage of this free business card offer! My husband and I have both purchased business cards through Vistaprint in the past and we’ve been pleased with the quality! 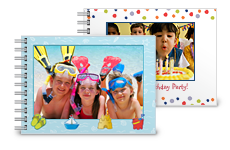 Take all of those fun pictures from summer and make them into a free photo book! These would be great for grandparents and the kids will love a round-up of all their favorite photos, too! You do have to pay shipping and handling and the breakdown for individual items follows: shipping and handling is reduced if you buy multiple items. You can get all 6 items for just $12.82 shipped, which is a steal! I love it when Vistaprint has their free tote bag offer! 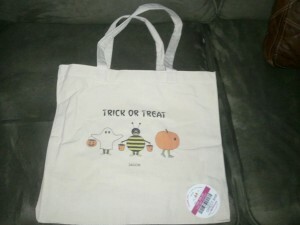 I took advantage of this offer last fall and made super cute Trick or Treat bags for my kids. Now that summer is here, I’m taking advantage of the offer to make personalized tote bags for my kids to take to the library, the pool, and even to church! I think they’ll also come in handy for our road trips this summer! These bags are very durable and just the right size for kids! You do have to pay shipping and handling for this offer, which is $5.51 for the “cheapest” option or just $7.15 for priority shipping. Shipping and handling for all six items is just $11.91!